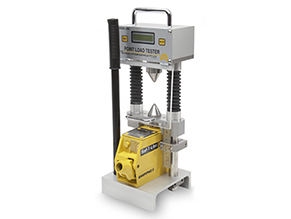 The HMA Geotechnical Strength Testing Point Load Testers are designed to conveniently measure the point load strength of drill core and irregular rock samples. The machines have been designed to be portable enough to take on an aeroplane or carry in the back of a vehicle, while still being suitable for use as a dedicated machine in a testing laboratory. The HMA Geotechinal machines utilise micro computers to linearise the output for maximum accuracy. These machines are ideal for the field Geologist or Geotechnical Engineer.